You’re on funny wedding wishes and quotes, page 4 of 7. See menu at bottom of page. Funny wedding greetings can brighten up the newlyweds’ day and let them know, in a humorous way, that you’re happy for them. Life is too short to take everything dead serious. 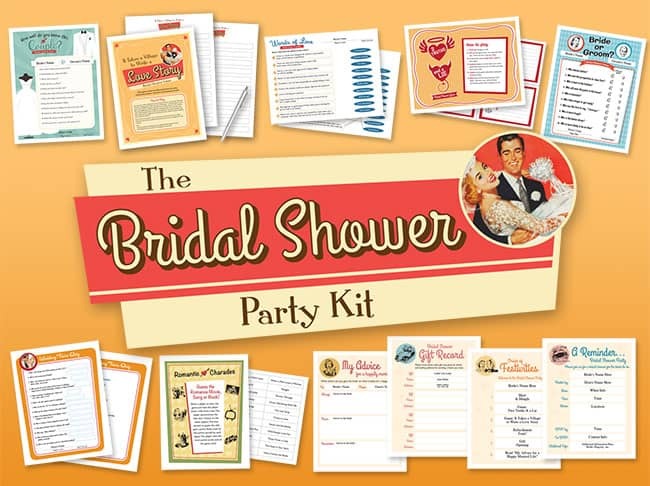 Weddings are joyous occasions – time to have some fun! Let the fighting commence! Congratulations married couple. Let’s get ready to rumble! Congratulations wedding participants. We put the party in bridal party — Looking forward to your wedding. The Bridal Party. There are three rings of marriage that form your gift: the engagement Ring, the wedding Ring, and the suffeRING. Sharing is caring…but sometimes enough is enough. Tip: Check out these wedding ideas. Marriage is all about give and take – the more your give, the more he’ll take. More men get food poisoning from wedding cake than any other edible. If the invitations suddenly disappeared, eloping is an option. Your love inspired wedding was a glorious occasion. Congrats. Our wedding gift to you is two life preservers. Getting married is a two-way street – do all you can to avoid head-on collisions. A life loved is precious. They say opposites attract – If that’s the case this marriage could last for a very long time. Best wedding wishes. Before you’re married, you will fall madly in love with each other. After you’re married, you will just be mad at each other. Oh well, best wishes on your wedding. Like a well constructed house, this marriage is built to last. Think of jewelry on birthdays as your insurance. Bride: We finish each others — Groom: Sentences! When you love person, don’t hang wallpaper together. Our life journey has just begun. Are we there yet? Wedding Love – Honeymoon Love More! Eat, drink and be married! Check! 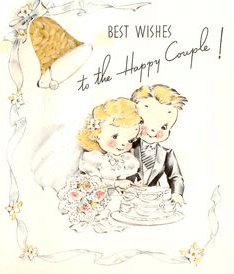 If you know of any funny wedding greetings you’d like to share, please send them our way! Thanks.